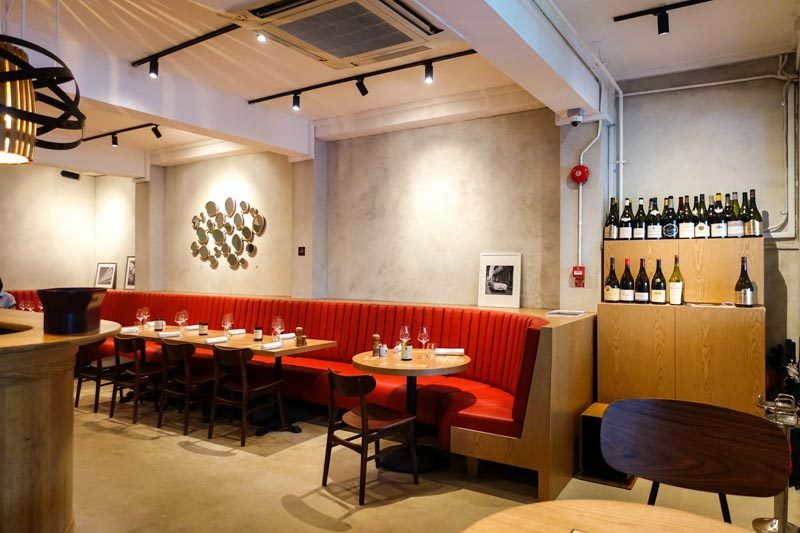 Duxton Hill is littered with eateries ranging from those serving bar bites to full-on gastronomic eats. 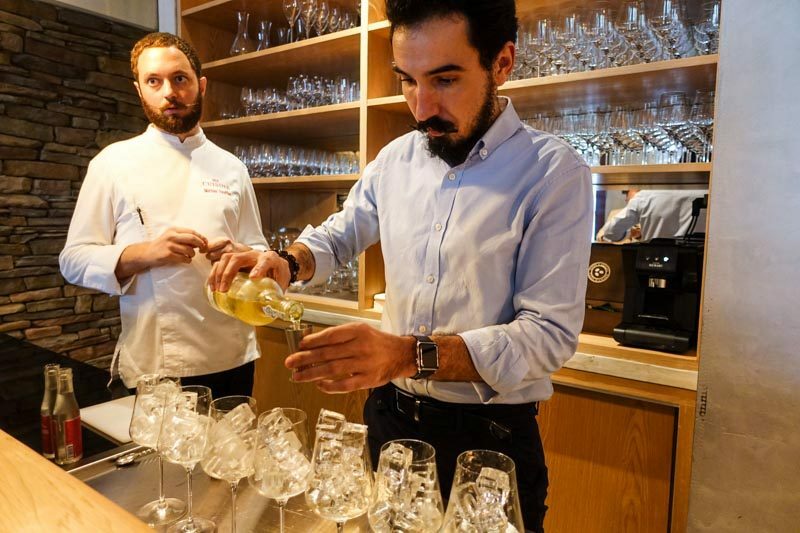 Recently, the place has seen the entry of a unique French gastro winebar, Ma Cuisine, that is set to surprise and excite wine lovers. 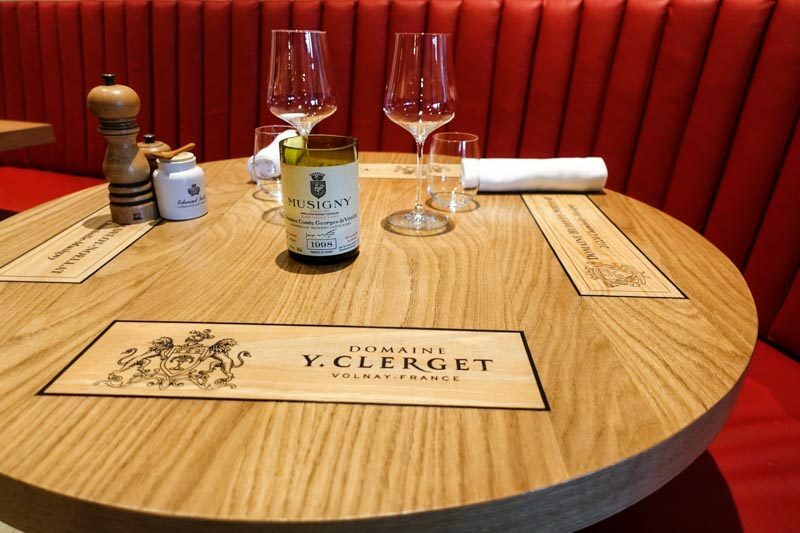 The establishment’s concept is novel in that the emphasis is on the tipple, with food becoming the complement rather than the traditional alternate. The interior is decorated in a refined manner, with empty wine bottles lining the walls to showcase the diverse collection that they carry. Even great attention to detail is put into the dining tables, so that the experience is immersive and almost educational. 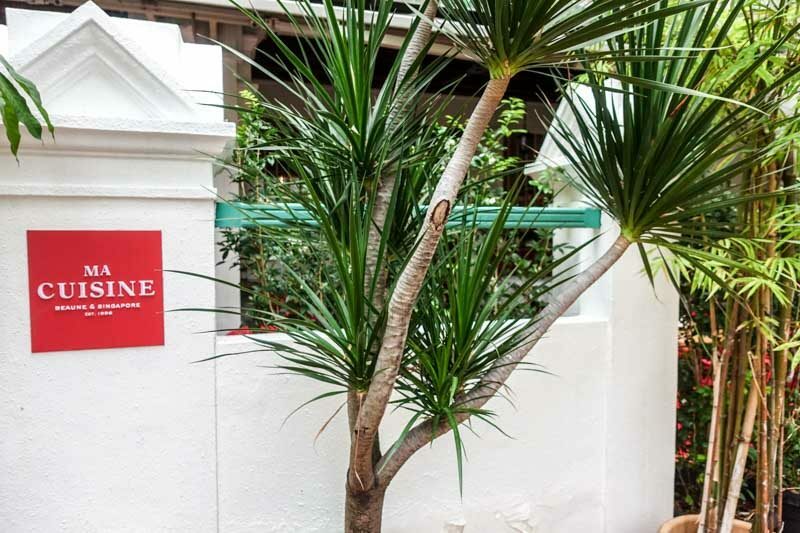 Ma Cuisine offers over 600 labels, with co-owners Anthony Charmetant and Chef Mathieu Escoffier overseeing their own specialised area of expertise (with Anthony in charge of wine offerings, and Mathieu, of food). Expect to see both of them during service, interacting with guests and happily assisting with selecting the wine and food they serve. In fact, the menu is constantly changing so your subsequent visits may result in totally different experience altogether! 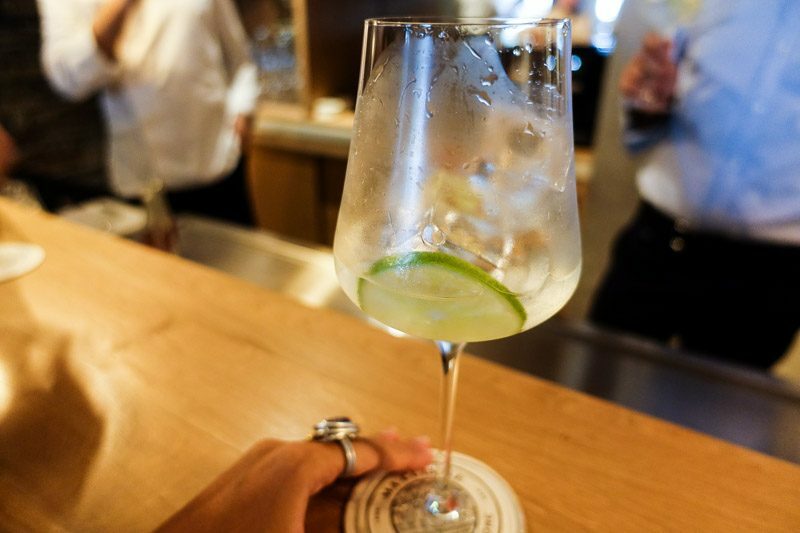 As a welcome drink, which also served as a refreshing way to cool off from the sweltering heat outside, Anthony presented us with a Port Tonic ($20), made with Dry White Port Dalva and East Imperial Tonic Water. I have definitely never had a concoction like that before, let alone come across such an ingenious idea to mix wine with tonic water, but this poured over ice was exactly what the weather called for. The port wine was subtly sweet and light, while the tonic water injected an airiness that made this aperitif exceptionally easy to swallow. 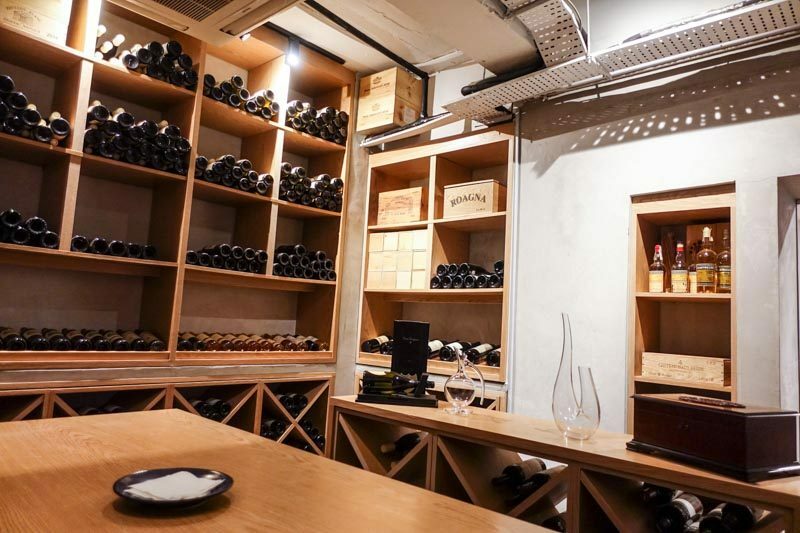 We were then led to the chilled cellar that stocks non-traditional wines from the diverse terroir of wine-producing regions in France and beyond. Anthony fervently shared with us his favourite wine stories and anecdotes that both impressed and entertained us. 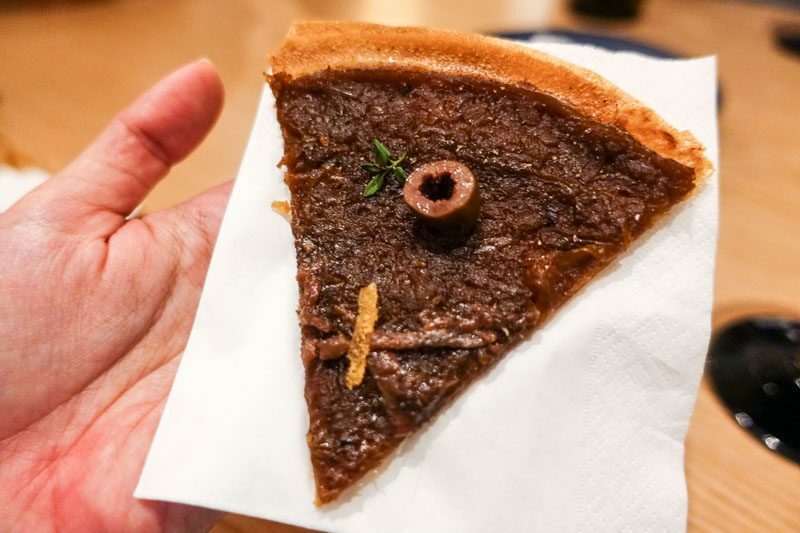 Meanwhile, Chef Mathieu gave us a taste of his La Pissaladière ($19), a crisp anchovy tart typical of Nice, that was potent with savouriness and really opened up our appetites. The thing one has to note here is that wines are only sold by the bottle, with the cheapest bottle going for $65++. 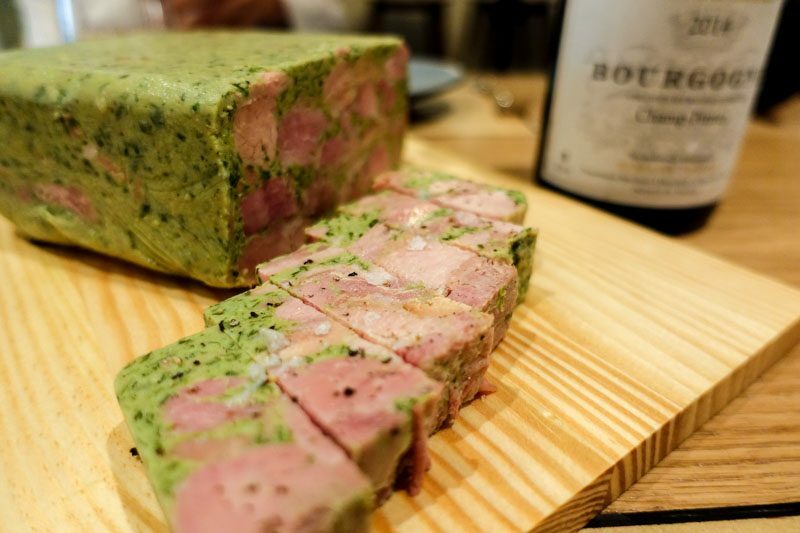 The first pairing we were presented with was the Bourgogne Chardonnay Champ Perrier Domaine Tessier 2014 ($88) with the Le Jambon Persillée ($27) (homemade jellied ham and parsley terrine). The wine itself had strong notes of dried apricot and cherries, but finished with a mild sweetness that balanced the dish. Terrine isn’t a common item in French establishments here, so it can be a dish you’ll either love or hate. 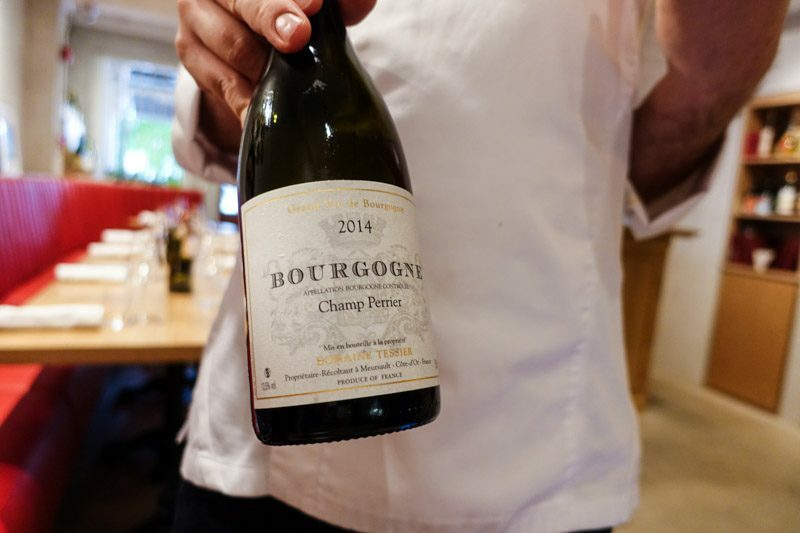 Chef Mathieu’s version was mild, which allowed the wine to shine and in fact, accentuate the ham’s saltiness. 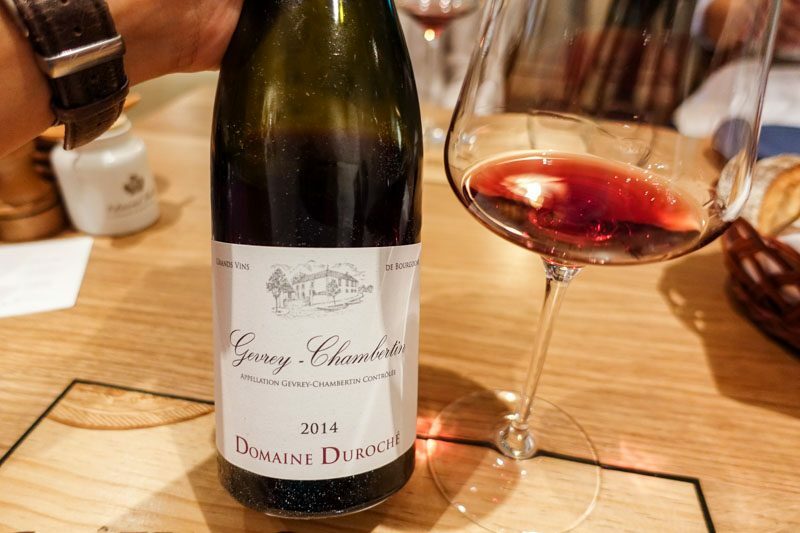 Our next course started off with Gevrey Chambertin Pinot Noir Domaine Pierre Duroché 2014 ($118). This pour was bolder and more complex in that I could smell more floral notes at first whiff. On the palate, it feels more luscious. To go with the second bottle, we were served La Cocotte Du Jour, L’agneau Milk-Fed Lamb Shoulder (market price) with Les Legumes, Spring Vegetables Cooked In A Cocotte With Parmesan ($28). The lamb was spectacularly tender and juicy, as the meat pulled apart with little effort. Its gaminess was hardly noticeable as well. The spring vegetables had a neat smoky edge that brought out the flavours of the meat. As a complementary dish, it worked well to add depth and opulence to a simple, no-frills recipe. 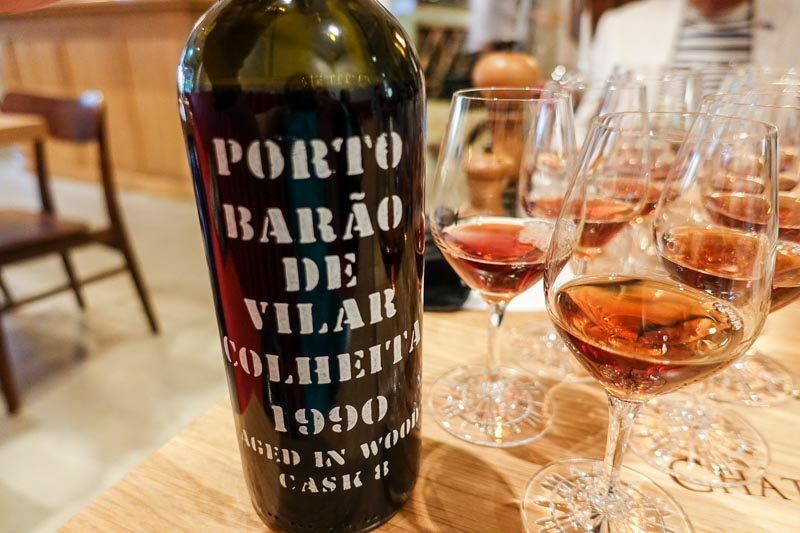 Instead of rounding off the session with dessert, we were given a chance to sample two very exquisite port wines, of which the first was the Port Colheita Barão de Vilar 1990 ($189). This port was akin to maple syrup; sweet but with a woody character. Its consistency was ever-so-slightly viscous, so if you wish to drink your dessert (and with alcohol), this is a great option! 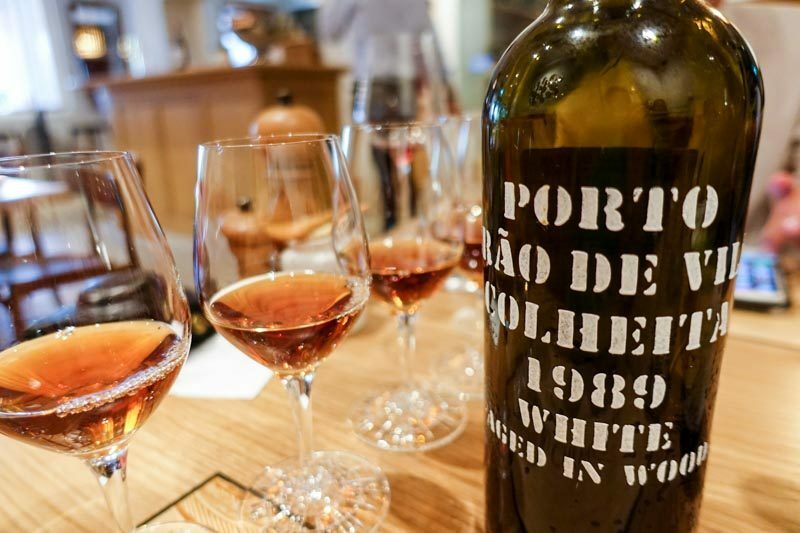 The last bottle of the evening was the Port Colheita White Barão de Vilar 1989 ($225). Although they look very similar in colour, this one had a sharper punch on the finish. I was taken aback by this, and proceeded to finish the former glass. If wine is your choice of indulgence and you want to train your palate as well as learn more about lesser-known wines, Anthony will be more than happy to share his vast knowledge with you. 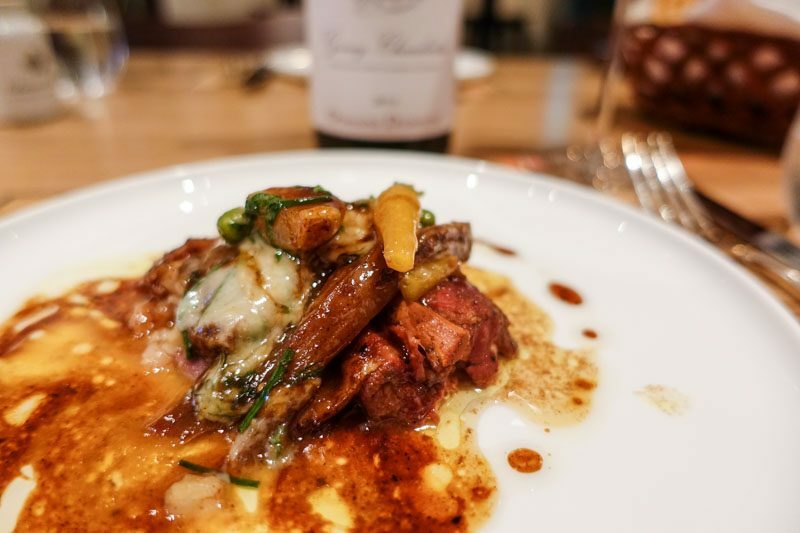 The food here, although not the main draw to the place, is a testament to classic French cuisine, while the wine collection and opportunity for wine education are outstanding.